IMMEDIATE OCCUPANCY AVAILABLE! This is our MIDDLETON MODEL.This thoughtfully designed two story home with trendy finishes includes a full unfinished basement with rough-in already completed for future bath. Interior features include an open concept living area, kitchen with maple cabinetry, breakfast bar, pantry, spacious dining area with sliders, main bedroom with tray ceiling, private bath and walk-in-closet, brushed nickel lighting and hardware, oversized ceramic tile, and finished laundry room. 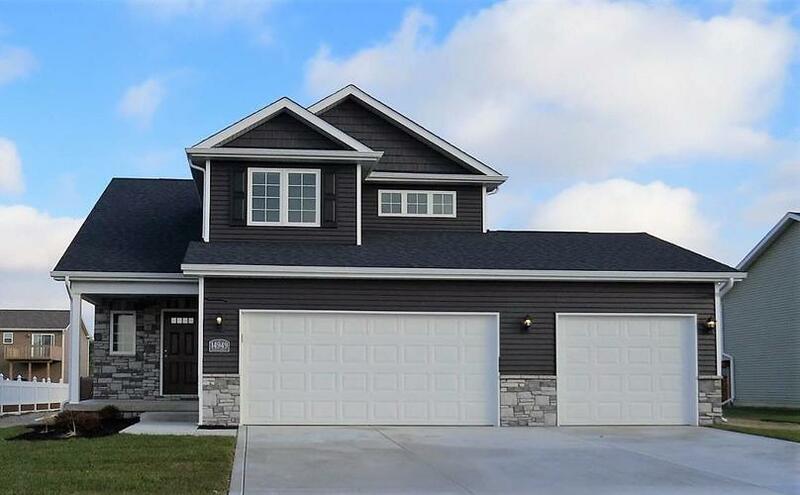 Exterior features include vinyl & stone exterior, full LANDSCAPING package to include sodded front, seeded sides & rear, mulch/bush package, 12' x 12' patio, garage opener installed, and builder's warranty. Additional plans available. Quality built by LIFEHOUSE HOMES, where integrity comes first. Directions:Rt 41 to 133rd, east to Parrish, south to Lynnsway (151st).